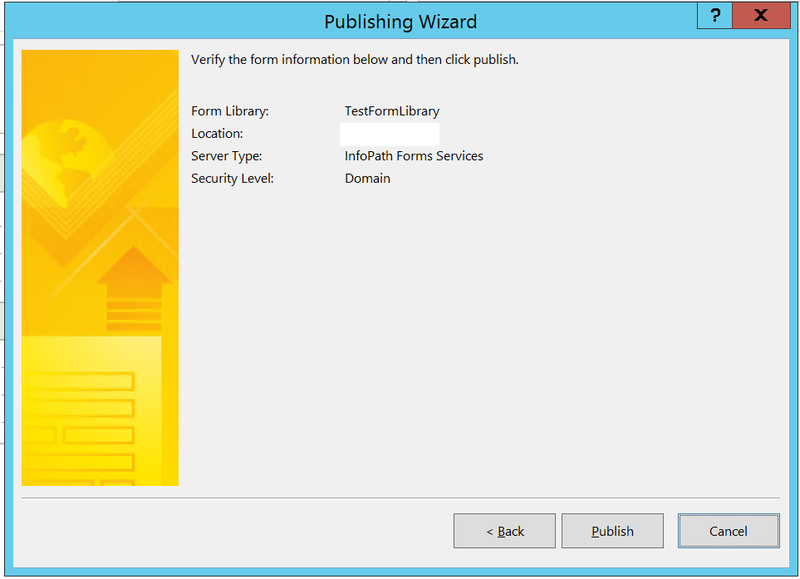 I am trying to publish an Infopath form to the SharePoint server 2016. It is a simple from with a single text control. I kept the form simple to test the publishing process. After this screen, i am getting the error. There is no error message by Microsoft. I checked ULS Logs. There is no error messages there. Can any one help me how to follow from here? One of the prerequisite for publishing infopath is "enabling Desktop experience feature". As my dev server is a "Single farm server", I enabled "Desktop experience feature" and the publishing issues are resolved. Not the answer you're looking for? Browse other questions tagged infopath forms-services or ask your own question.